Creative CBT Counselling: What Is Cognitive Behavioural Therapy? Cognitive behavioural therapy (CBT) is a type of psychotherapy/counselling based on the idea that cognitions (thoughts), feelings and behaviours (actions) are all connected. In a way, your thoughts create your feelings. For instance, certain thought patterns can create depression, for example: “ I am worthless”, “no one loves me”, “how could anyone like me?” “I hate myself”, “I am not good enough”, “I can't do anything”, “there is nothing I can do”, “why can't everthing be perfect” etc. These thought patterns are learned from experience, but often we have drawn the wrong conclusion because of special circumstances in the situation from which we learned. Cognitive behavioural therapy addresses thought patterns, emotions and actions. 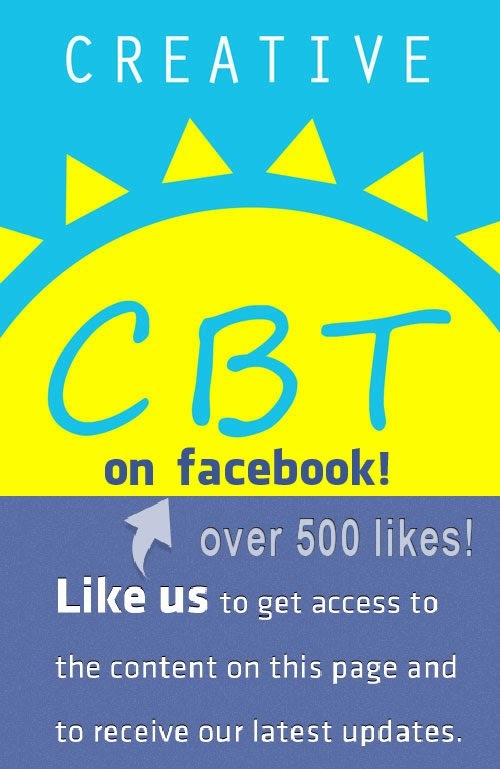 CBT is tried and tested and stands up to evidence based medicine standards. Numerous scientific studies show that it is an effective means of treating a range of problems, including: depression, phobias, social phobia, addiction, relationship problems, anger problems, anxiety, chronic fatigue syndrome, chronic pain, and many more. Of course, psychotherapy should always be tailored to the client, but CBT studies have shown that more people stay well for longer with CBT than with other forms of psychotherapy or by medication only.